Once the body has adapted to regular, large quantities of alcohol over the course of months or years -- or sometimes just in a matter of weeks, in the case of some binge drinkers -- your body begins to expect high levels of alcohol and you can become physically ill without a drink. In fact, the symptoms of alcohol withdrawal syndrome can begin as quickly as two hours after finishing drinking, but more typically begin six to 12 hours later. And you may experience them for several weeks after the cessation of alcohol consumption. The initial symptoms are usually shaking hands, mild anxiety, sweating, nausea, vomiting, headache, and insomnia. But in some people, they rapidly progress to something worse, including hallucinations, seizures, and delirium tremens (DTs). DTs cause fever, rapid heartbeat, and confusion -- and can be fatal in approximately one to five percent of cases. The singer Amy Winehouse's family reportedly believes that she may have died from alcohol withdrawal. Her autopsy revealed no sign of any illicit drugs in her body -- originally, the suspected cause of death. You are most at risk if you have gone through episodes of alcohol withdrawal syndrome before, have a history of seizures, or have pre-existing health problems like heart or lung disease. But anyone who is typically a frequent, heavy drinker should be prepared to seek medical attention if they are quitting alcohol, whether they have other health issues or not. At the first sign of symptoms, you may have to contact your primary care physician or go to a hospital for monitoring. Alcohol is a central nervous system depressant that goes to work on the neurotransmitters in the brain. However, its effects are somewhat schizophrenic. At low doses, it acts as a mild stimulant. As concentrations in the bloodstream increase, stimulation gives way to sedation -- a relaxed, calm state -- and ultimately to stupor. But if it's overused and abused, the drinker needs more and more just to maintain a feeling of normalcy. And cutting off the supply of alcohol entirely leaves the drinker feeling like an anxious wreck, further encouraging them to have a drink just to calm down. There are already three pharmaceuticals approved by the United States Food and Drug Administration for treating alcoholism. But switching out one drug (alcohol) for another, even if it is sanctioned by your doctor, can't really be the best answer to this problem. That's just another way for the big drug companies to cash in wherever they can. If you are a heavy drinker and want to quit or at least cut back substantially, then in addition to a support group program, there are some natural alternatives that can help. For one thing, you'll want to start to help your body heal from the damage the alcohol has inflicted. Regular use of a milk thistle supplement will help to deflect some of the damage to your liver. Also valuable on a daily basis are alpha lipoic acid (or R-lipoic acid), proteolytic enzymes, and Omega-3 fatty acids to reduce liver inflammation. And you'll probably want to add in vitamins (particularly the B vitamins), minerals, and trace mineral supplements to replace what you've lost from regular consumption of alcohol. Start taking a good full spectrum antioxidant -- especially for the water soluble antioxidants that are also lost daily because of the drinking. Finally, drink lots of clean water during the day to counter the major dehydration caused by alcohol. 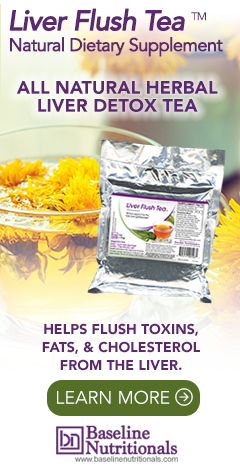 And finally, performing a full body detox, finishing with a liver gallbladder flush, is highly beneficial. It can help repair much of the damage that has been inflicted on the body by heavy drinking. Obviously, going back to drinking after the detox is completed starts the damage again, but from a "higher" point at least. Just be aware that the detox reaction resulting from cleansing alcohol toxins may cause symptoms such as headaches and nausea for several days. Stick with it, since once you have eliminated the toxins from your body, you will feel better than you have in a long time. 1 undefined. "Alcohol Withdrawal." WebMD. 1 October 2010. WebMD, LLC. 25 August 2011. <http://www.webmd.com/mental-health/alcohol-abuse/alcohol-withdrawal-symptoms-treatments>. Last time I had a lot of wine. About two bottles and a bit of quite good stuff. I went into a sort of waking coma for a couple of days. The only thing that helped was milk thistle. I have also had Ginqo Bioloba recently and although an overload leaves you with crystal clear visualisation that is hard to shake. When it wears off I feel at a far higher level of clarity, peace and happiness, and my taste for coffee is much much reduced. In fact, a large latte tasting like sawdust like it did today for me makes me suspect that my mind prefers the effect of the Ginqo over the coffee. Those two points connect. I.e. If a person were go back to alcohol they may naturally change their ideas on it. Type, preference, etc. Alcohol withdrawal symptoms usually occur between five to ten 10 hours after the last drink. They usually peak between 48 to 72 hours and may continue for weeks or occasionally for months. The symptoms may range from a mild and uncomfortable disorder to a serious, life-threatening condition. Symptoms may range from sweating, clammy skin, fatigue, not being able to think clearly, to loss of appetite, nausea, vomiting. They also include insomnia, night mares, mood swings, shaking nervousness and irritability and, in some cases, may develop into anxiety or depression. Symptoms of a severe form of alcohol withdrawal called delirium tremens can include agitation, severe confusion, fever or seizures and death may even result from this condition so it is wise to seek the support of a health professional. People going "cold turkey" are often hospitalized so that they can be put under observation and monitored to check for fluctuations in their breathing, blood chemical levels, etc. and in order to counteract signs of dehydration. Even in mild cases which do not need hosptialization, it is wise for the person to be accompanied during this process and followed by health professionals. Like many addictions, recovering from alcoholism or a dependence on alcohol is a lifelong struggle, requiring a life-long commitment. Many people who go through alcohol withdrawal make a full recovery, however the effects of drinking and many of the symptoms associated with the withdrawal could last for some time. Total life-long abstinence is the best option for those who have gone through withdrawal successfully and support groups may help keep you on your teetotaler regime. It can be tough but it is worth bearing in mind that people who drink excessively may develop serious problems like heart conditions. I absolutely disagree with your comment about switching from one drug to another when talking about alcohol withdrawal. Medication is provided to prevent serious implications of withdrawal such as seizure, DT's and death. Medication is usually given in a supervised environment and you are constantly monitored over a 24-72hr period. By doing a CIWA test every few hours the proper amount of medication is determined. Herbal remedies or detoxes will not prevent these serious symptoms because the effects of alcohol on the CNS are tremendous. The amount of medication is also very small and usually requires only a loading dose on the first day. Valium is usually given b/c it has a longer half life than other benzodiazepines so it remains in your system for longer. I fall into the small percentage of people who suffer from seizures as a direct result of alcohol withdrawal. It was very dangerous for me when I was drinking (as I am sober now) to stop or even decrease my alcohol consumption without medical help. It is important to not confuse with substituting one drug for another b/c this is not the case. Without this kind of treatment I may have lost my life due to withdrawal. I stopped drinking "cold turkey." I was a functional alcoholic and consumed 2.5 liters or more of gin a week. I drank in the evenings. I finished my last bottle and decided that was it. I was done. I always knew I didn't have a physical addiction. It was more of my social lifestyle. All my friends drink and most of our involvement was spent eating and drinking. So anyway, I had no withdrawal symptoms. None. I also tend to be a night owl. I would work on projects until 3-4 AM then have to get up in a few hours to go to work. That didn't work. I used to sleep my whole weekend away to get caught up. I started having more than my glass of wine with dinner. It became the whole bottle then I graduated to martinis. I went to bed at a reasonable hour and managed to get sleep during the week so I could enjoy my weekend. Never had hangover issues in the morning. Since I've stopped drinking, I'm back into night owl mode. I'm working on a food blog so I'll be in my kitchen cooking and photographing until 2-3 AM. I'm self-employed now so I can sleep in. Another thing, I don't feel any differently physically or emotionally. Just that there is no alcohol in my life any longer. And if you're wondering about the effects on my body, my liver and pancreas function are fine. It may be that I wasn't a heavy drinker for more than 5 years. I don't smoke anything and am a healthy eater. No diabetes, no HBP, have very healthy cholesterol levels, no weight issues.